WE ARE off to a first birthday next Sunday. It’s the first one, the first party for one of Milin’s baby friends. And it’s got me thinking about when our own Little Mister reaches his first birthday. What shall we do? I want to make the Little Mister happy every day, but on that day at the end of this year I want to try even harder. And, going back to that other thing, I want to celebrate. We will have made it to one year. Phew. New Year’s Eve. How lovely it is to look forward to it now. 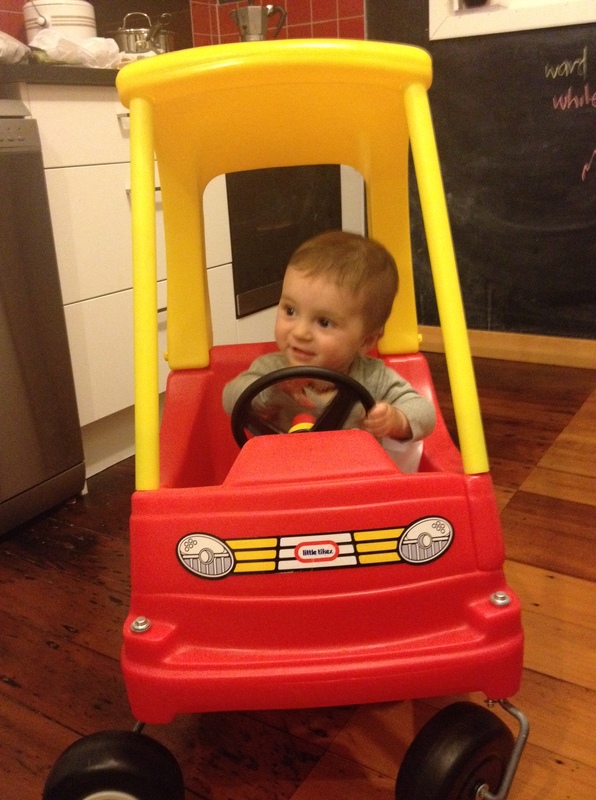 So, the Little Mister’s first birthday is already occupying my thoughts. What shall we do? Where? Who shall come? What about the invites? It wasn’t so long ago planning like this took on a life of its own and became all consuming. That was for our wedding. So is it too much? For a little boy who is just going to be one and will never know the lengths we went to? Of course not. 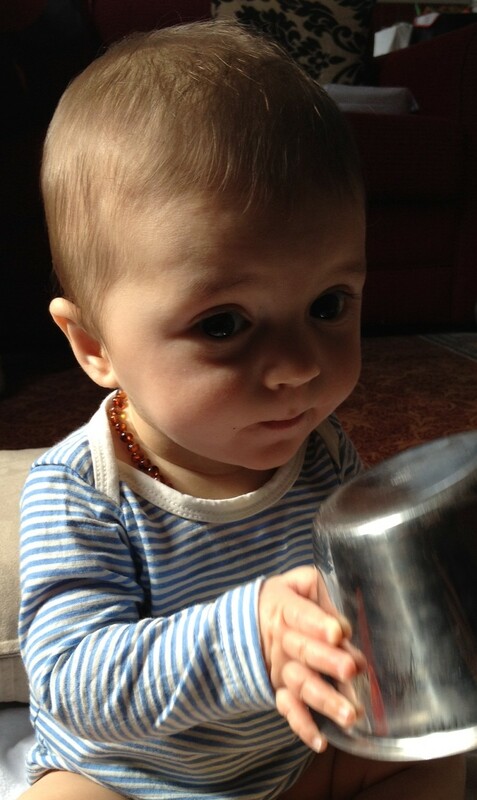 Come to think of it, we could just get the Little Mister a new stainless steel bowl for his birthday. This one from the kitchen is his current favourite toy. 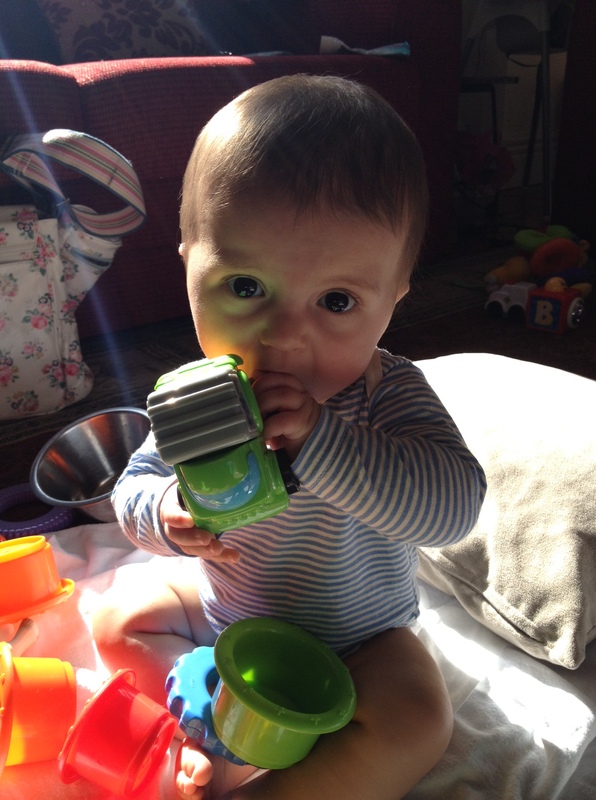 It’s a teething aide, musical drum and mirror all in one. On the other end of the toy scale – we scored this with our Fly Buys points – before deciding to move back to London. Of course we can’t take it with us. In the meantime, we’ve just started putting the Little Mister in it this week. He loves being wheeled around. I can’t believe he’s already big enough for it. This entry was posted in Babies, Family, Motherhood, Parenting, Uncategorized and tagged Birthdays, Milestones, Moving, Toys by Kiran Chug. Bookmark the permalink.